I covet other people’s long and luxurious nails as mine are short, brittle and love to break and peel. No matter what I try I just don’t think long strong beautiful natural nails are for me. 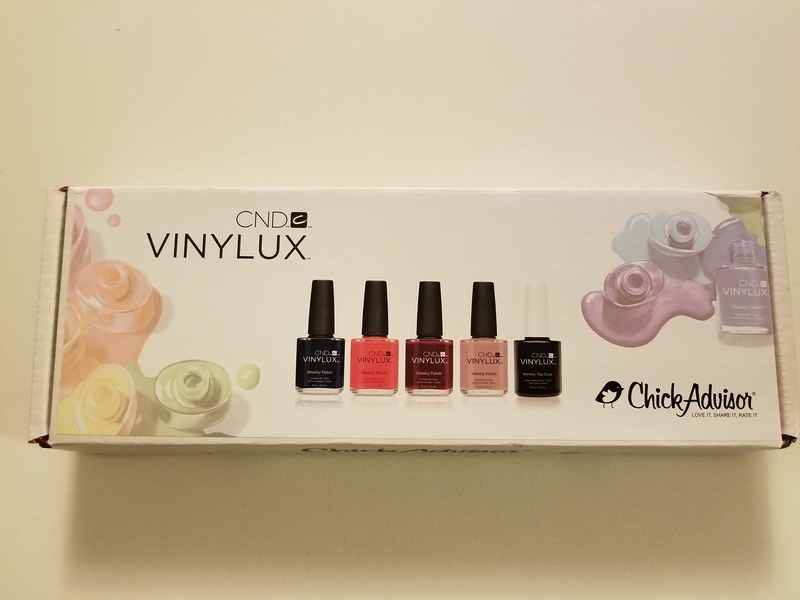 When Chickadvisor product review club had the CND VINYLUX Weekly Nail Polish and Top Coat campaign – I was hopeful that the color and top coat might help turn my nail game around. 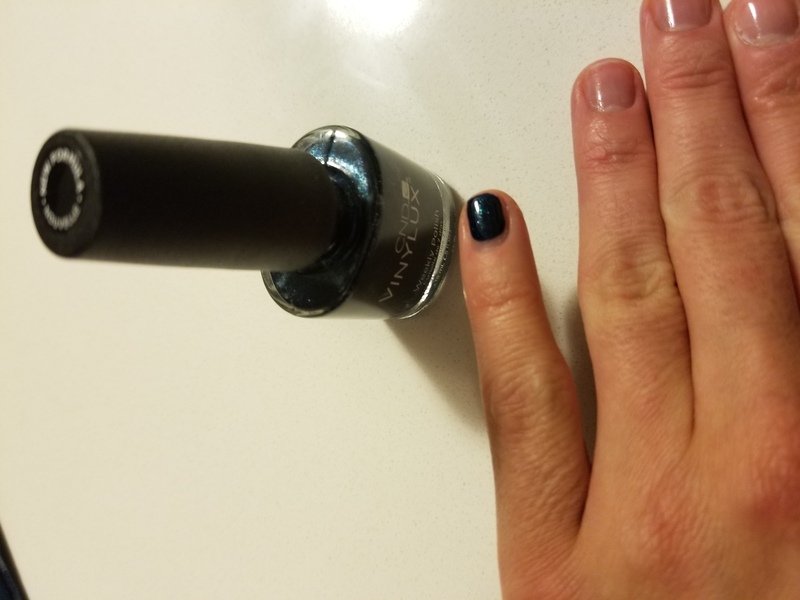 I was given the midnight swim color and I can honestly say that I love this polish! It is a rich color that it goes on so easily and smooth, you can’t ask for an easier polish to apply. You only need 2 coats, which is super quick to do because it dries fast. I chip my nails like crazy and this seems to be able to withstand my abuse. After the second coats dries you just need to apply 1 coat and you are good to go! I also want to note that this is a fantastic top coat. It not only ads shine and protection from chipping, but seems to help add some strength to my super weak nails. 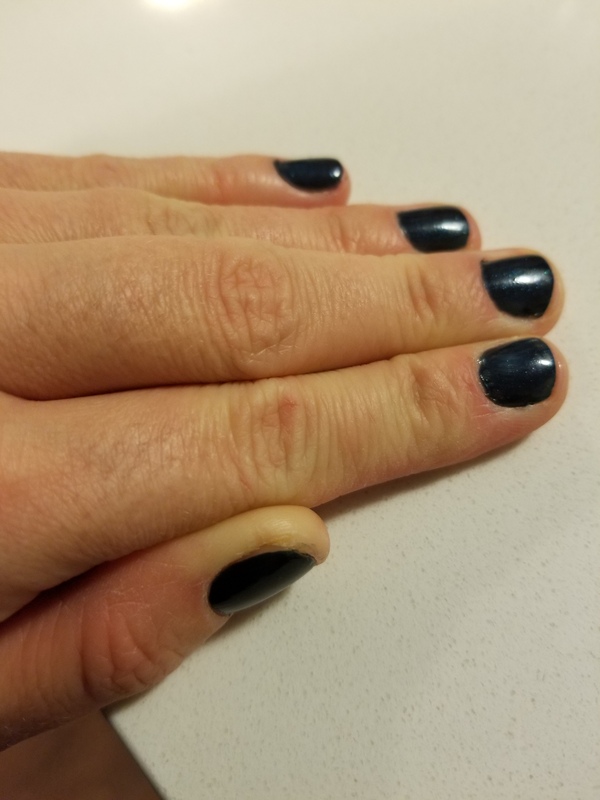 I didn’t get 7 days chip free (I am super hard on my hands) but I did get 5 days, which is about the exact same length I get out of salon shellac manicures. 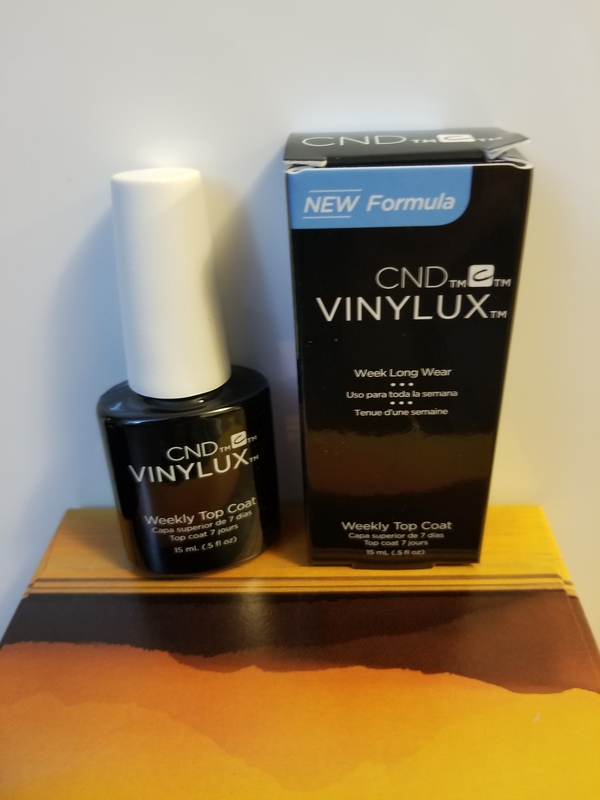 That alone makes me think you can’t get much better products than the VINYLUX Weekly nail polish and topcoat combo! 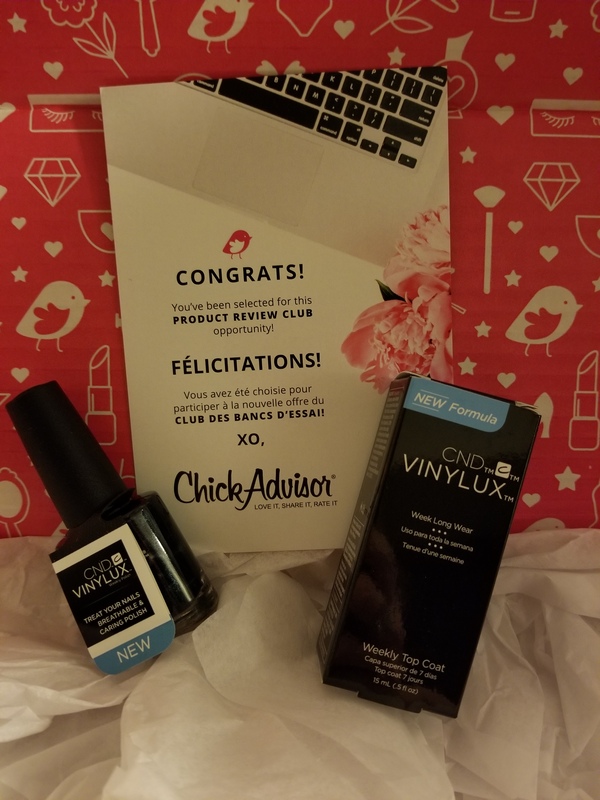 This entry was posted in Beauty and tagged ChickAdvisor, CND, manicure, Nail, nail polish, polish, top coat by maldham. Bookmark the permalink. 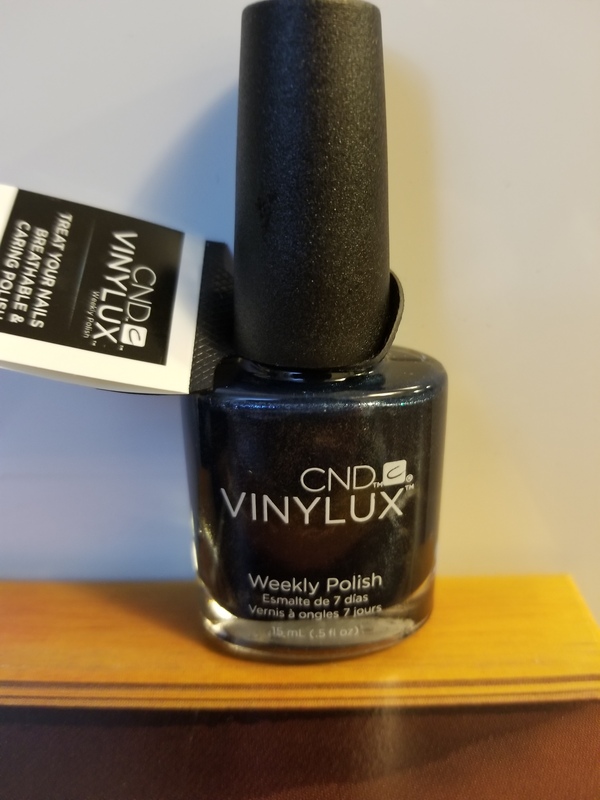 This polish is on my wish list – sounds great! Oh. CND makes such good polish. I really like the vinyl lux line. I am such a bad nail person, but it is so good how it even lasts on me.